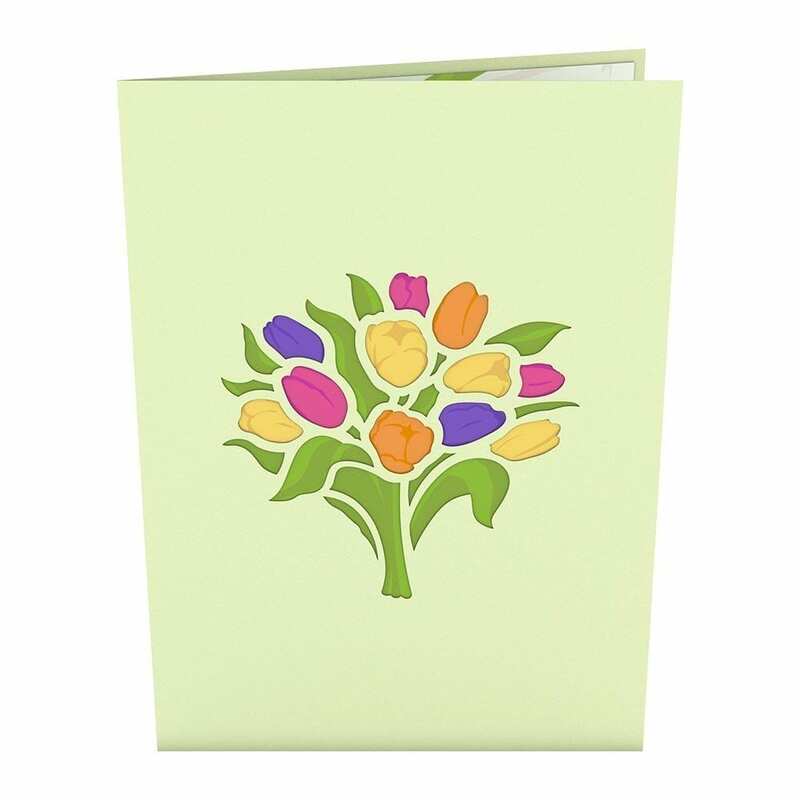 The sage green cover of the Tulip Bouquet pop up card features a laser-cut bouquet of pink, yellow, orange, and purple tulips. Once opened, the Tulip Bouquet reveals itself in all its beauty. 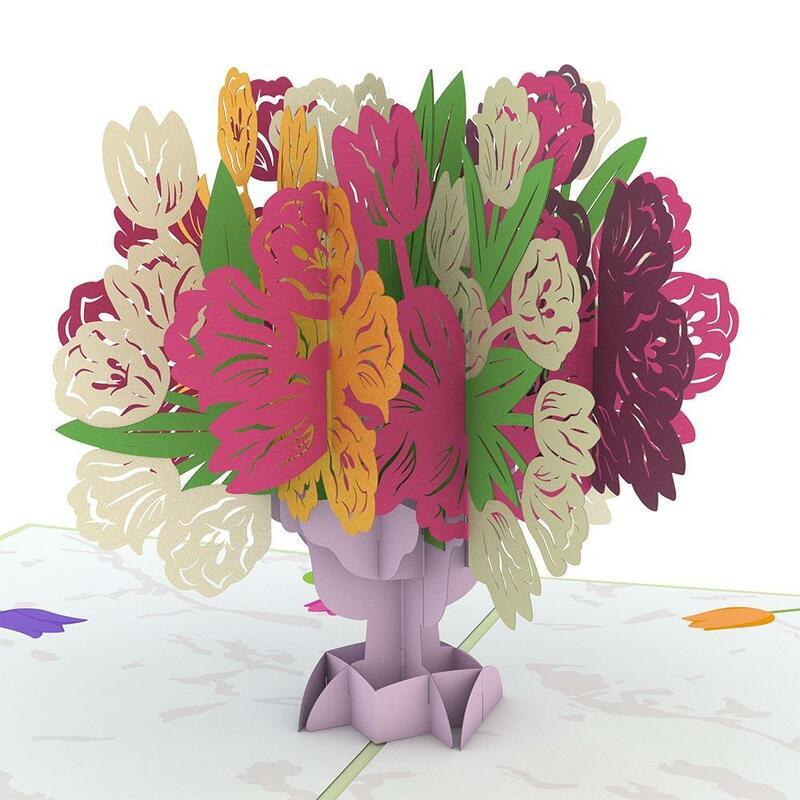 The multi-colored bouquet consists of white, purple, red, pink, and yellow tulips that burst out of an elegant light purple vase. Along the inner panels, five tulips peak into the scene over the gray and white printed marble top. 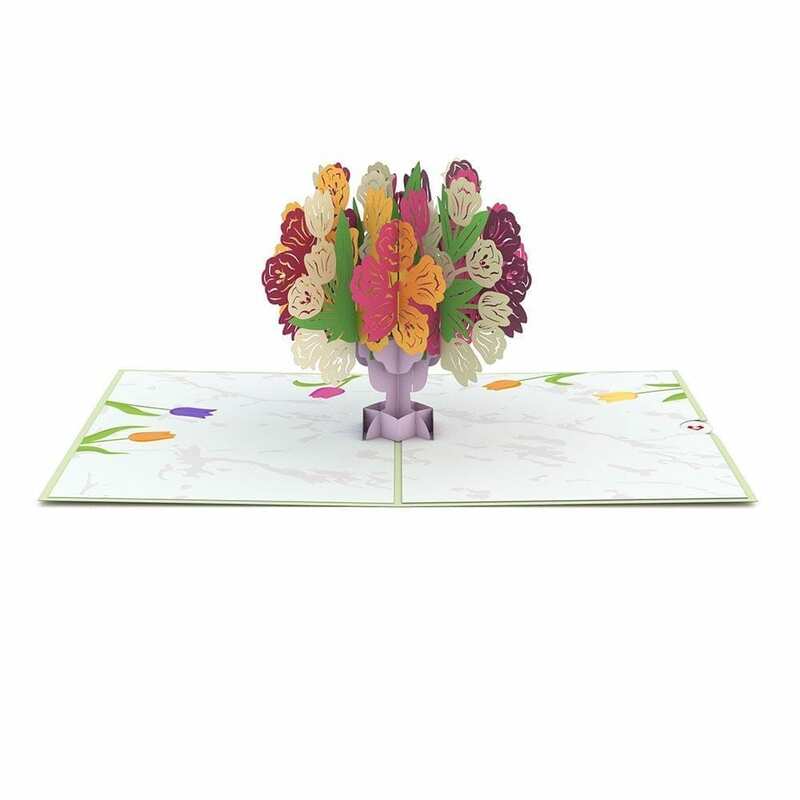 The Tulip Bouquet pop up card is 5 inches wide by 7 inches tall.